One great thing about summer is the abundance of fresh fruits and veggies that are available. Whether you get your produce from a farm stand, supermarket, or your own backyard, summer eating should be colorful and full of nutrition. 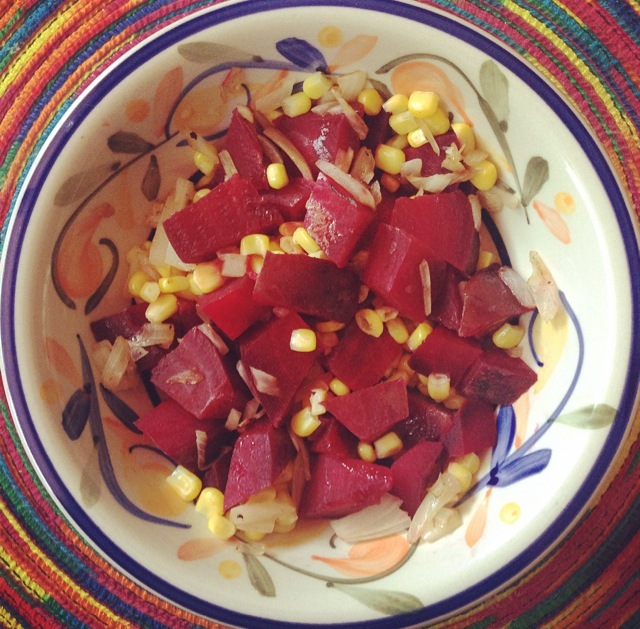 Here’s a simple summer recipe for beet and corn salad, which can be eaten on its own, or as a side dish. If you’re heading to a barbecue, consider preparing a dish like this to impress your hosts and other dinner guests! Drain the beets when they’re finished cooking, and drain whatever excess water remains from the corn. Remove the onion from the pan when it is lightly browned. Combine the beets, corn, and onion, and add olive oil, lemon juice, and salt and pepper. Mix well with a spoon.